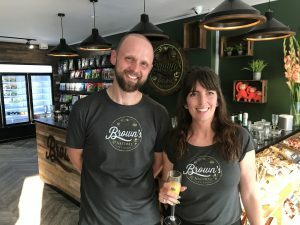 Browns Natural Pet Store gets it name from owner Rob Brown, who has been involved in the Pet retail business since birth, thanks to his parents who brought Rob up in their family business called Barneys. Robs mother Rosemary has always been in the pet industry, and still works today as a dog groomer. After selling their family shop in West Worthing, Rob went on to work from the age of 14 at Shoreline Pet Supplies in Goring (£2 an hour in those days!) and stayed there until for another 10 years. Rob took a 4 year career break from the Pet industry, but returned to Shoreline once more, this time buying the business outright and running it with the help of his partner Holly. Fast forward 10 years and in July 2018 they realised their dream and opened a brand new, customer design and built store in Ferring.